Architects Katjusa Kranjc Kuhar and Rok Kuhar of Slovenian design brand PIKKA, have created a collection of wood side tables (or shelves) that hang down from the ceiling. 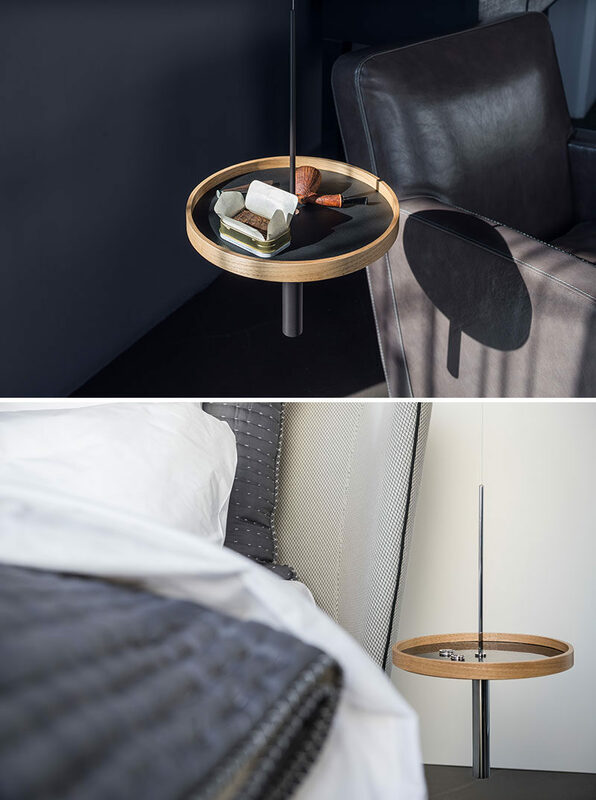 Named Circulum, the collection has three different designs, Ring, Bowl and Wave, with each shelf or table having a slightly different appearance. One has a definite ring around the edge, the bowl has a seamless curved appearance with a raised edge, and the wave (seen below) is a slightly curved piece of walnut. Each delicate shelf hangs from the ceiling and is able to hold lightweight household items, like phones, wallets, keys and tv remotes.